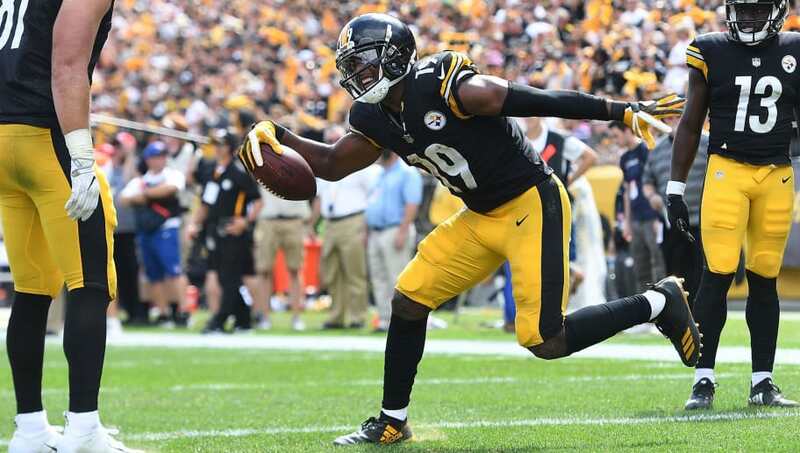 He may only be in his second season in the league, but JuJu Smith-Schuster has taken the NFL by storm with his big personality and, more importantly, his stellar play. Thanks to that playing ability, Smith-Schuster etched his name into football history. Despite a forgettable four-reception, 33-yard outing against the Cleveland Browns last Sunday, the second-year wideout did just enough to become the youngest wideout in NFL history to eclipse 1,500 career receiving yards. When you break a record held by a future Hall of Famer like Larry Fitzgerald, you know you're doing something right. As if NFL history wasn't enough, Smith-Schuster also made a little franchise history along the way. By recording 1,500 career receiving yards in his first 21 career games, the USC product set a Steelers team record for fewest games to reach that milestone as well. Smith-Schuster has been an excellent fantasy receiver this season and it doesn't look like he's going to slow down any time soon. He does have a rough stretch of games coming up, including a ​matchup with the Baltimore Ravens this Sunday, but should still be considered a high-end WR2 almost every week. ​With the Steelers' offense averaging almost 30 points per game, we're likely to see JuJu set more NFL records moving forward.